MIUI splits opinions among Android users - some say it's great, a welcome refinement of the platform, and some say it's a bit too close for comfort aesthetically to Apple's iOS. Whichever way you see it, you should know that MIUI 8 is now out, with the Global stable ROM available for download over on the MIUI forums for supported devices, which are listed below. The 8th version of the Chinese OS was announced back in May with the Mi Max, which David said was gigantic in his hands-on first impressions. 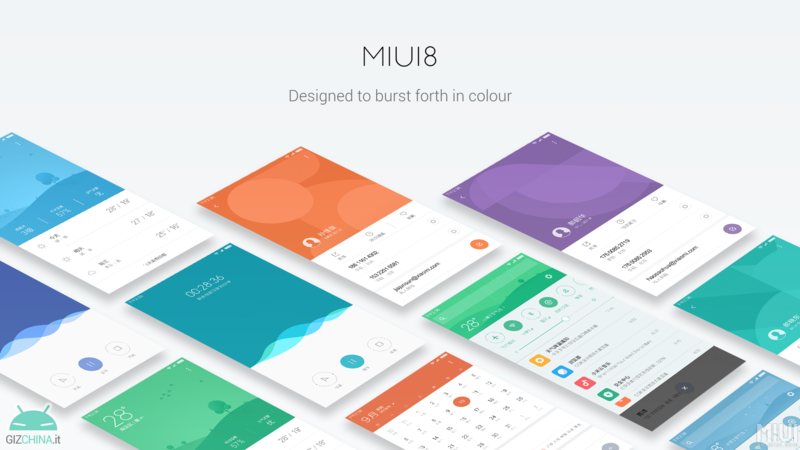 MIUI 8 seems like an evolution of the Android-based operating system, with new features such as 'scrolling screenshots' and an all-new gallery app. Xiaomi says in its post that scrolling screenshots are basically exactly what they sound like - instead of taking a screenshot, then scrolling down, taking another one and so on, scrolling screenshots fit as much as you want into a single screenshot. The all-new gallery has automatic adjustments when sharing a photo, plus the ability to delete a photo from the device but not the cloud. Dual Apps mean users can sign into two accounts in one app, including WhatsApp and Facebook, while Second Space sounds like a separate workspace much like on many Linux desktop operating systems. Devices which will get OTA update on August 23rd are: Redmi 1S, Mi 2/2S, Mi 4i, Redmi Note 3G, Redmi Note 4G. All users of these devices will be able to receive the update over-the-air today. Some users will be able to receive the OTA update for Redmi Note 2 and Redmi 2 on August 23rd as well. The update will be open to everyone on August 25th. Updates for the rest of the supported devices will be released progressively in the near future. We will keep you updated about further info, please stay tuned! Dual Apps - create and sign into dual accounts for any app, including WhatsApp, Facebook and more. You can find a full changelog for MIUI 8 at the source link. Otherwise, if you own a MIUI 8-compatible device, keep checking for that update. Keep in mind that Xiaomi notes that certain devices will be able to get it sooner than others. ROM Download links for those devices (the Redmi 1S, Mi 2/2S, Mi 4i, Redmi Note 3G, and the Redmi Note 4G) are also available at the source link, which is a Google webcache link since that original has a database error.